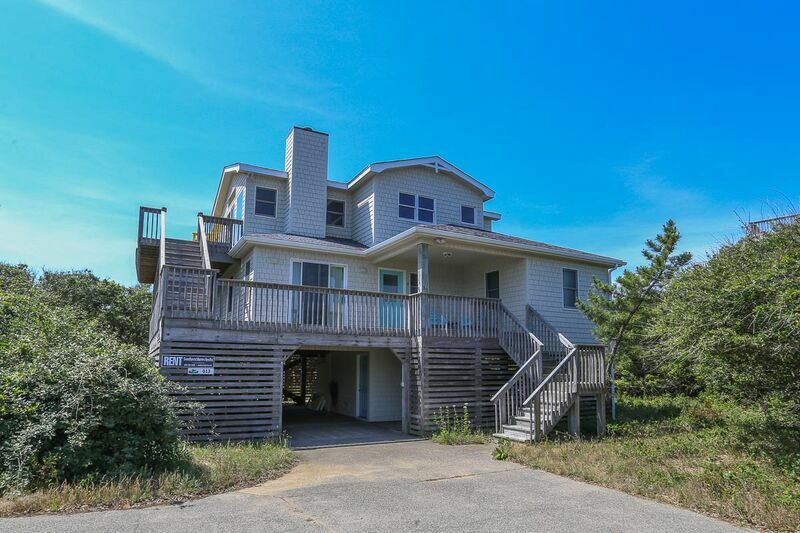 Just 75 yards to beach access on private road with no through traffic! Large decks and an ocean view await you in this light and airy home in quiet Seacrest Village. Relax in the screened porch as you listen to sounds of the waves. Owners have provided games, puzzles, books and movies, as well as boogie boards, sand toys, and wireless Internet access for your enjoyment. 4 bedrooms (1 with Queen, 1 with Double, 2 with Twins), 2 baths (1 with jacuzzi and shower, 1 with tub and shower). Living room, kitchen, dining area, CATV, DVD player, Bluetooth stereo, powder room.